Sell what you want on a website of your own. Use Pattern to build a website as unique as your brand and expand your online sales beyond the Etsy marketplace. Your Etsy shop listings are instantly synced with your website. Choose from beautiful, customizable templates. Choose which items to list from your Etsy shop inventory and add items or services that you can't sell on Etsy. 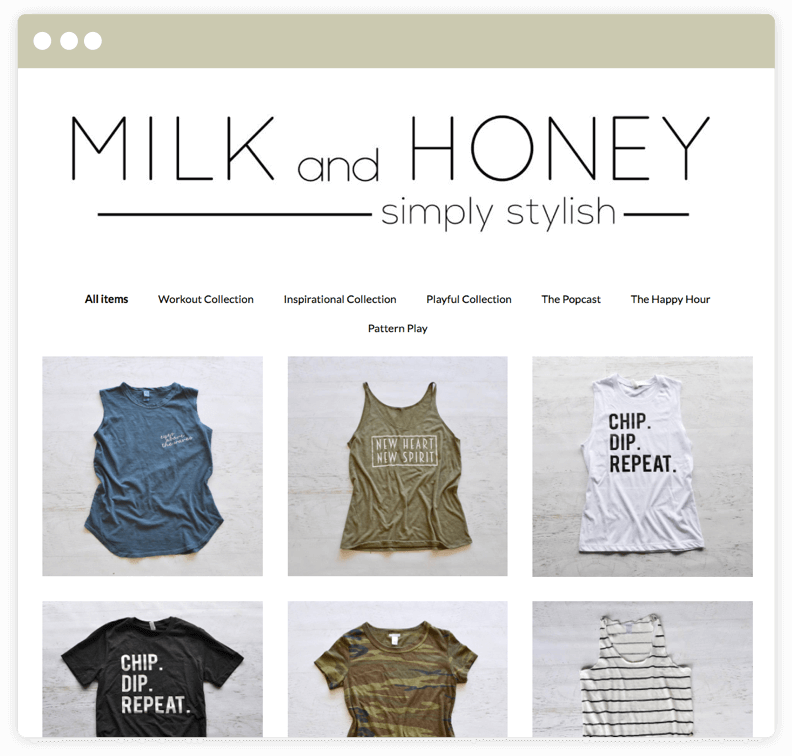 Easily manage both your Pattern website and Etsy shop with Shop Manager. I wanted to have a website that looked like my own and not Etsy's, but didn’t have the time to learn something new. Pattern gave me that opportunity and I just jumped on it right away. It was so simple to set up! Pattern is the ideal platform for me. I can have my Etsy Shop and my Pattern website all in one place without having to worry about duplicate maintenance, and dedicate my time to my designs. As an established Etsy seller, I love Pattern because it provides a seamless experience. My inventory is automatically transferred over and I don’t need to learn new skills to have a professional online store. It only took me three minutes to set-up my website and I didn’t have to upload a single picture! 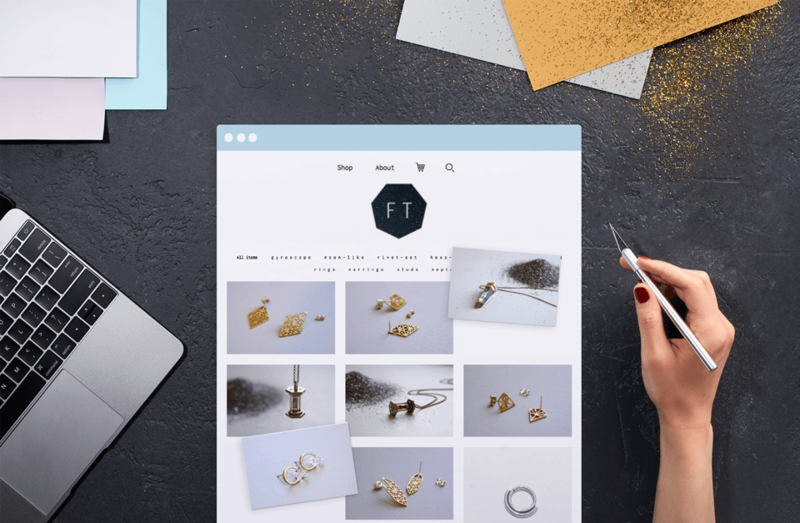 Making your handmade pieces is half the battle, and creating a new site can be daunting. Pattern made it really easy. How is my Pattern site related to my Etsy shop? Pattern provides you with a personalized, separate website for your business. 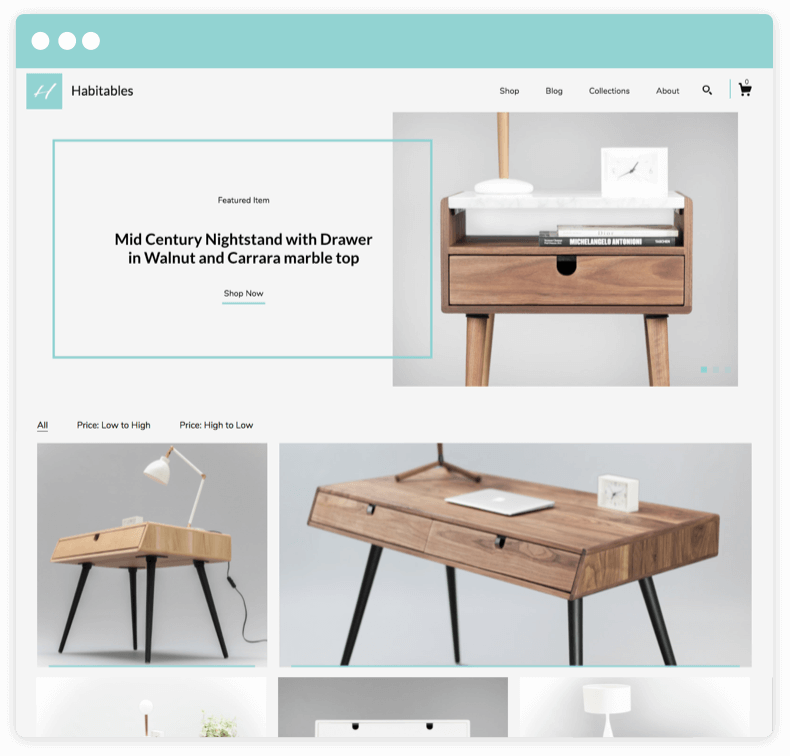 Although inventory is synced and managed centrally through Shop Manager, your website is not connected to the Etsy marketplace, meaning your website will not be surfaced via Etsy's search function. Will my website replace or delete my Etsy shop? No. Although your inventory is centrally synced in your Shop Manager dashboard, Pattern is a totally different site with a different URL from your Etsy shop. With Pattern, you can sell items or services that don't follow Etsy's handmade and vintage guidelines. That said, there are still some prohibited items listed in our Terms and Conditions. A Pattern website is free for 30 days, then you will be charged $15 per month. You can cancel your subscription anytime. Will I get Etsy traffic to my Pattern site? Your website is a separate destination from the Etsy marketplace. You will be responsible for driving traffic to your site - however, Pattern will provide you with the tools and guidance to help you succeed. Do I need design skills to build my website with Pattern? 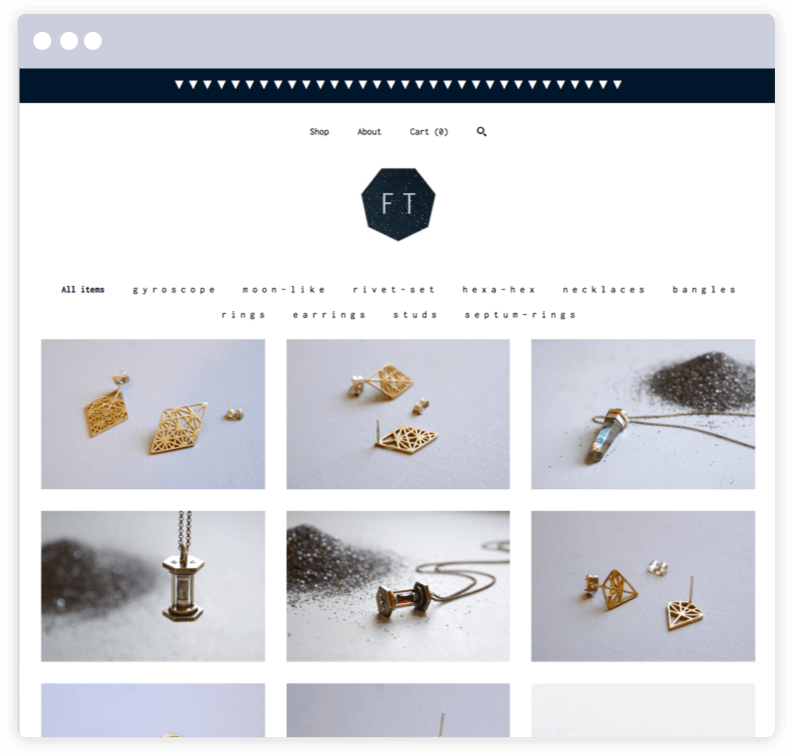 Pattern makes it easy to quickly transfer your Etsy presence into a new website. 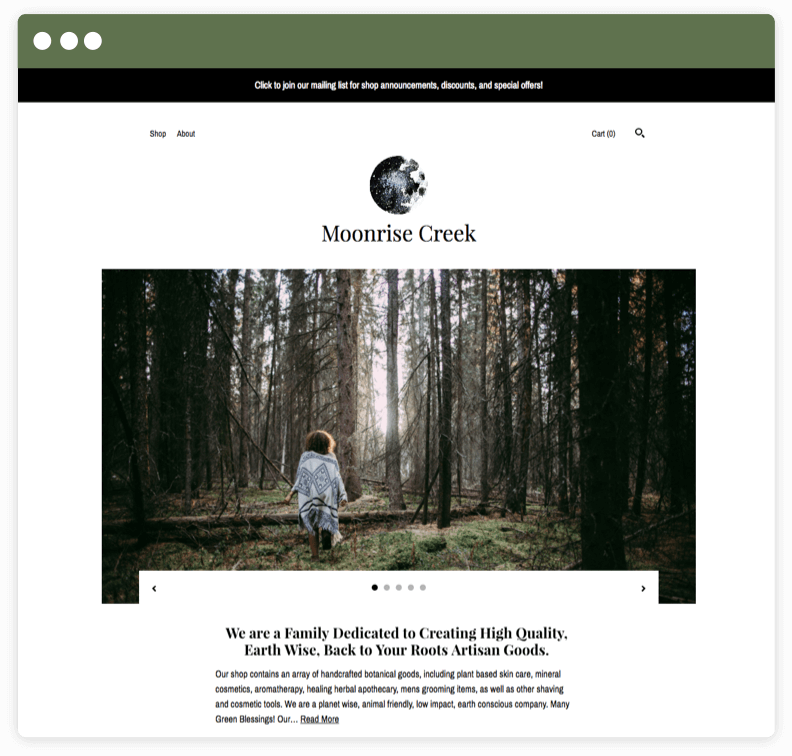 We provide you with recommended templates, but also give you the option for personalization so your site can feel as unique as your brand. More questions? Check out our resources. Try Pattern free for 30 days. After that it's just $15/month.